6.3 x 4.3 x 2.2 cm. 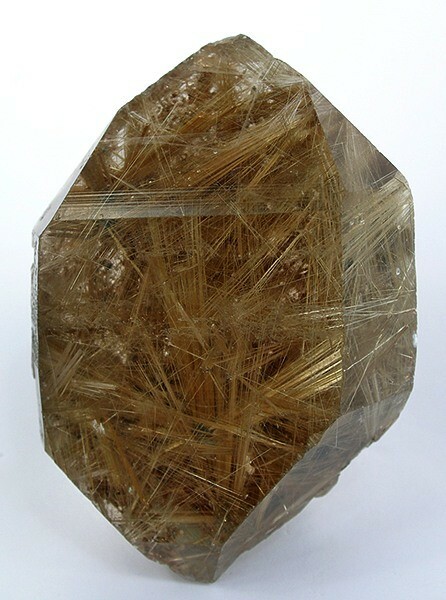 Brilliant, golden rutile needles aesthetically fill, in jackstraw fashion, a facet-like quartz crystal from Novo Horizonte, Brazil. The large rutile needle "star" is a striking feature. A showy specimen from this classic locality and essentially pristine.